If you had asked me at the time, if any of these things would ever change I probably would have said no. Which is really silly considering we (humans), are always evolving, changing and adapting. It’s even sillier if you consider the fact that we have the power to change if we decide to. 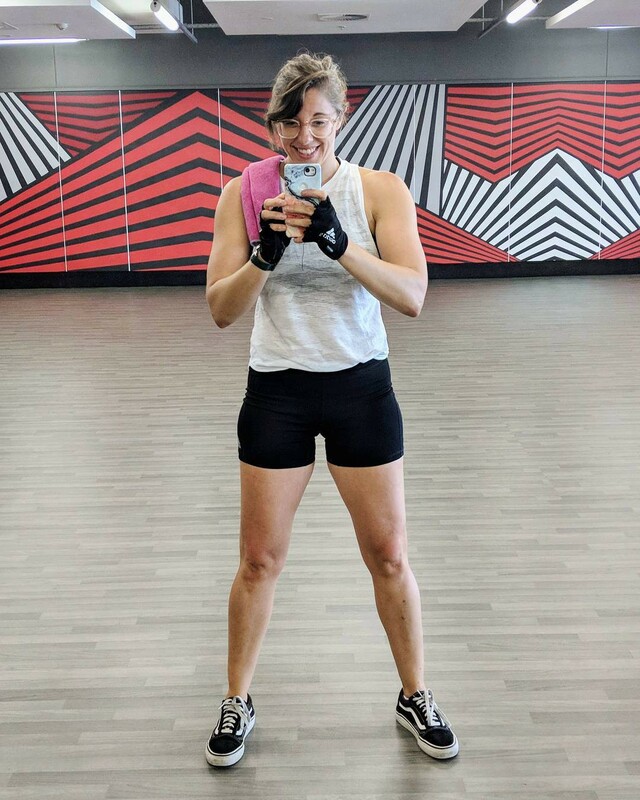 I’m writing this post to share some insights about how I was able to achieve this; I actually wasn’t intending to strength train Monday through Friday but I got addicted to the habit — specifically how it made me feel. This made me realise the power of habits and how you can apply the habit forming process to just about anything in life. It’s an amazing feeling being addicted to a healthy habit and I want everyone to experience it! I moved to Australia almost a year ago. My life significantly changed a year prior to that. I left a business I started and was involved in for six years. I left a long-term relationship and I left New York City, where I had lived for 11 years. (Wow, that’s a lot of leaving)! 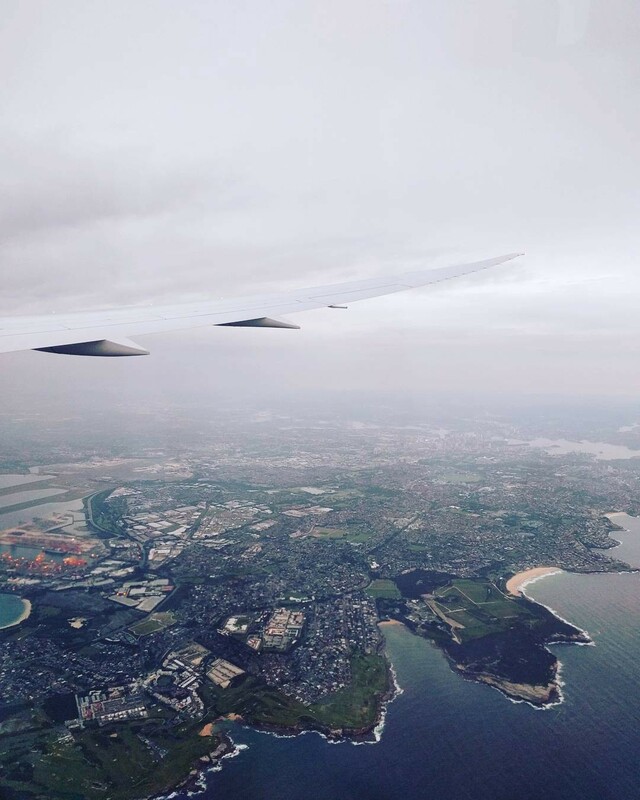 The view right before landing in Australia for the first time. This opened up my life in a lot of ways, I had new found freedom and the space to really focus on myself for the first time in a very long time. This freedom allowed me to move to and live in a different country, something I had never done before. Okay, that’s the backstory! For the first five and half months I lived in various Airbnb’s in different neighbourhoods in Sydney. This was a challenge for me as I was used to having my own apartment and a certain standard of living. 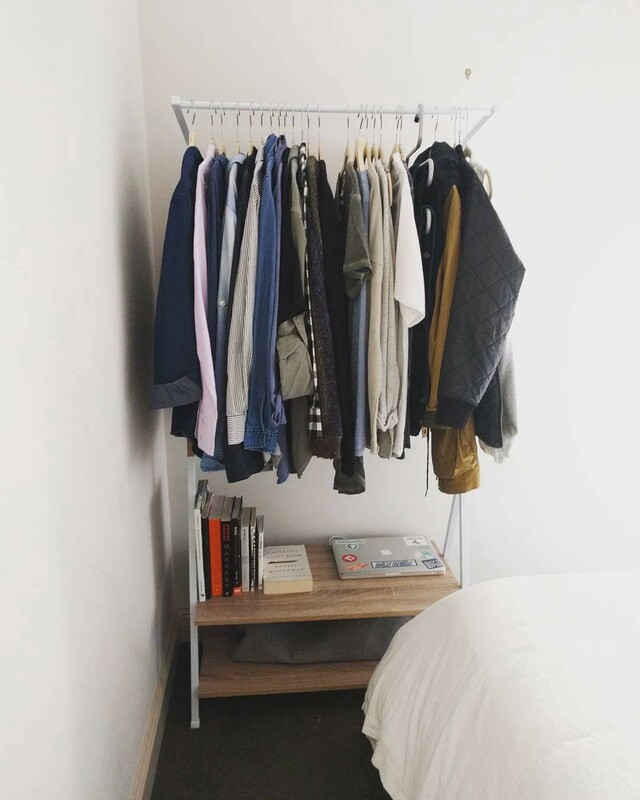 Now I lived out of a suitcase, my only possessions were my clothes, a computer, a few books and my phone. My bedroom of whatever house I was in, was where I spent most of my time. I really embraced minimalism for the first time ever. For four of those months, I lived with — and became friends with one of my Airbnb hosts, Luke. Luke competes in triathlons; last year he competed in the Half Ironman World Championships. Frankly, he’s in ridiculous shape. While his level is not realistically attainable (or really necessary) for most people, I found it really inspiring and motivating. Luke competing in an Iron Man. Is this what exposure therapy is like? Anyway, I noticed that when he would get up in the morning, he’d already be in his cycling gear. Like, he came racing out of his bedroom in his spandex. I was like “whoa, this guy is serious.” Then I tried it. I figured, if I put my training clothes on straightaway after my alarm went off in the morning, the only place to go then is the gym. And it worked. But I still failed — at achieving any greater level of fitness. I just didn’t know what to do at the gym; I’d walk around, kind of using machines — I didn’t know how to workout. I had a personal trainer before but he didn’t necessarily teach me or create a workout plan for me (but I also didn’t ask for this either, so). I didn’t know it at the time but this book would change everything for me. In hindsight, the answer to my problem of not knowing how to use the gym was so simple. Much of it had to do with finding the right information. Let’s start with the problems I had to solve. I didn’t have goal clarity. Since I didn’t have a goal, I didn’t have any structure for achieving the goal. I didn’t know much about strength training or lifting weights. I was missing information and education on the topic…knowledge is power! I didn’t have a plan for achieving the goal, specifically — I didn’t have a plan for what to do when I went to the gym. The book provided some sample workout plans and I chose a 3-day split plan — a workout plan designed for three days a week. The routine then was: every Monday, Wednesday and Friday I would get out of bed, put on my workout clothes, have a quick cup of coffee and head to the gym with my workout plan. And it worked! I was getting stronger. I was getting stronger and it wasn’t taking long at all. Turns out in order to build muscle, you’ve got to put stress on the body by lifting, pushing, pulling, etc — more weight than you might be used to. Seems simple, but this key bit of information made me realise why my previous time spent at the gym was having little to no impact. I wasn’t working my muscles at all! When I started to see and more importantly — feel the results, I was hooked and this was when the habit fully cemented. Once I was hooked, I was totally motivated and I wanted more. That’s when I started going to the gym five days a week (now I do a 5-day split). Now, I get up every morning, Monday through Friday — put on my gym clothes, have a quick coffee and head to the gym with my workout plan. There are still days I don’t feel like going to the gym, but this experience has taught me about and made me appreciate the power of consistency. I know that if I’m consistent, I can achieve my goals. This can be applied to ANYTHING. What’s also been amazing is how strength training has impacted me in other areas of life. Strength training is my keystone habit. A keystone habit is a habit that is correlated to other good habits. My keystone habit improved two other main areas of my life. 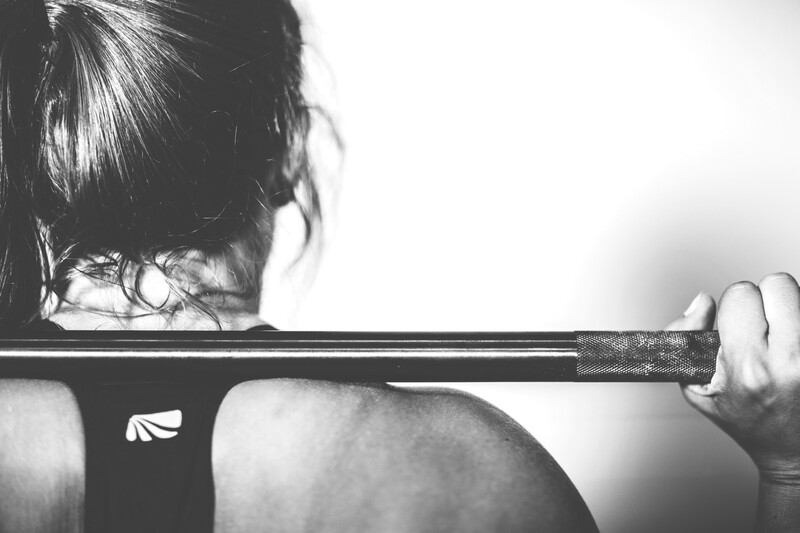 Strength training has naturally improved my diet; since I work hard at working out, I want to make sure I eat foods that will support my keystone habit. I primarily eat chicken, fish, rice and vegetables now. 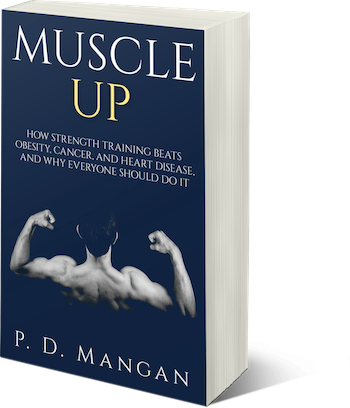 I’ve learned that sleep is so important to building muscle (muscle recovery) as well as being able to have enough physical energy to do a solid workout in the morning. A bad night of sleep is equivalent to missing a workout the next day. My keystone habit made it substantially easier to change my eating and sleeping habits as the motivation created by the keystone habit naturally flowed into the other habits. I recently had a bone density and muscle mass body scan. The strength training has worked so well that I’m in the top 4% for muscle mass for my age group. I don’t look like Hulk Hogan or anything (and that’s not my goal — and that’s really hard to achieve anyway) but I feel so much different than before and that’s the real reward. Digital product designer. I write about design, teamwork and exercise. Currently in Sydney, AUS.